This particular design is based on an item used in the Great Fire of London. Other designs used from the 12th - 18th Century are available (with or without personal features) and would grace any fireplace in a home or traditional public house. 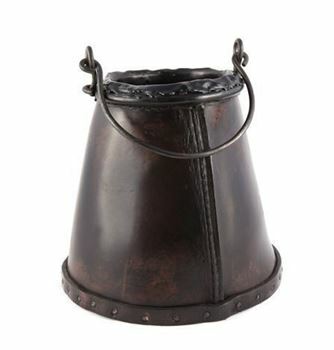 The bucket measures 26cm x 28cm tall.